So in that, I feel rich every day! We make smoothies galore, bananas foster, banana cake…and give them to everyone we know. Whale season is winding down here a bit, and Mike will be glad to have a chance to catch his breath from working three and four charters on The Scotch Mist in Lahaina every day. Hope you had a great weekend. Mahalo for reading along! If you’d like to stay in the loop, please click the “Follow” button to the right. 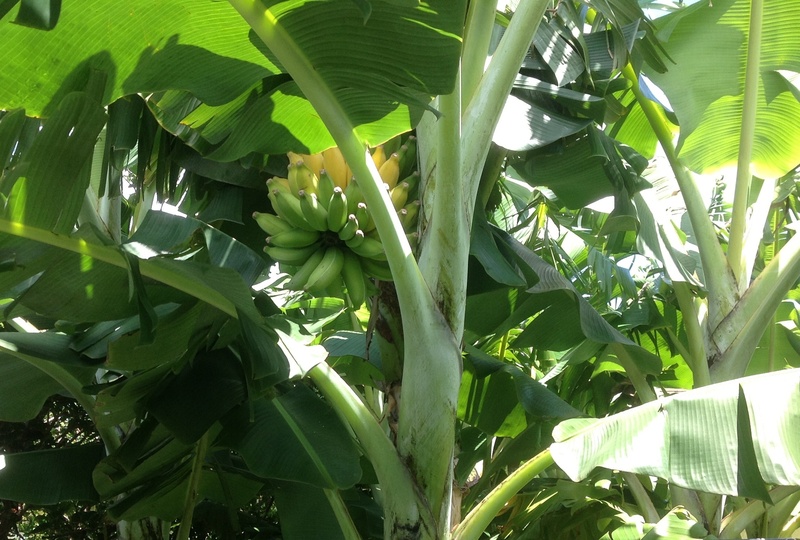 This entry was posted in Life in Hawaii and tagged Apple bananas on Maui, Lahaina, The Scotch Mist Maui by jamaicawtr. Bookmark the permalink.